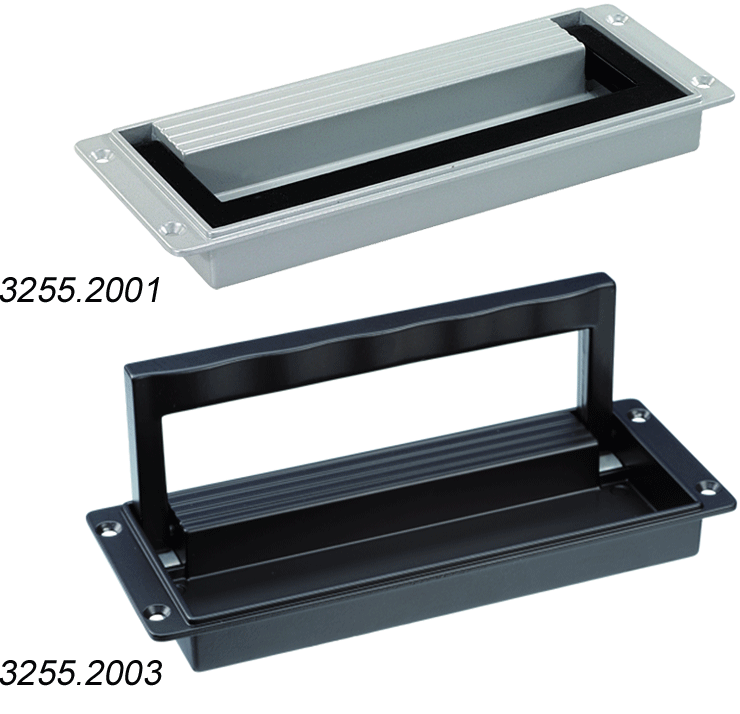 MENTOR offer a wide range of recessed “tray”, folding and strap handles, made in various materials and profiles. 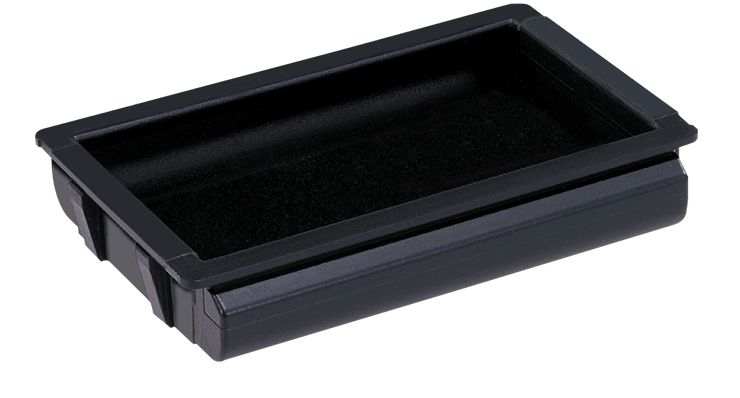 These attractive and ergonomic handles are designed to be space-saving as well as suitable for demanding applications. 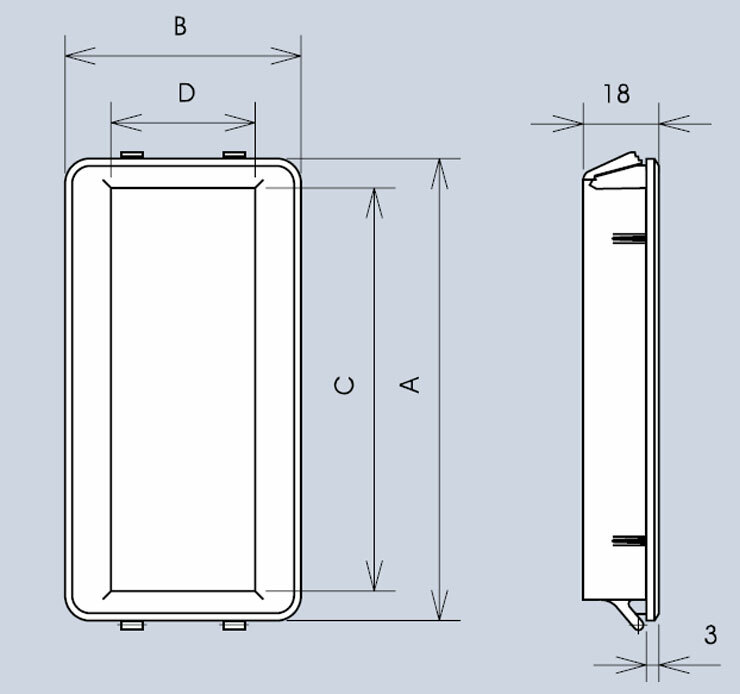 Standard options include black or grey plastic, aluminium or mixed plastic and aluminium recessed and strap handles plus spring-loaded folding or “collapsible” versions. Many of the handles are suitable for high carrying load requirements. 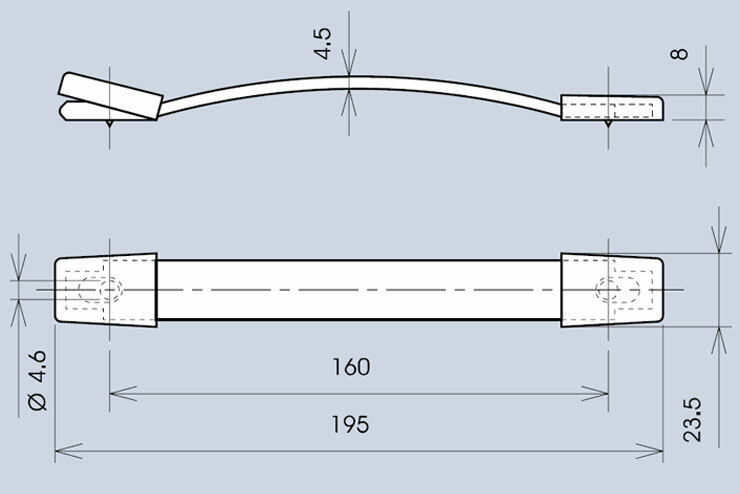 Many of the recessed, folding and strap handles are available from stock with short delivery times and small minimum order quantities. 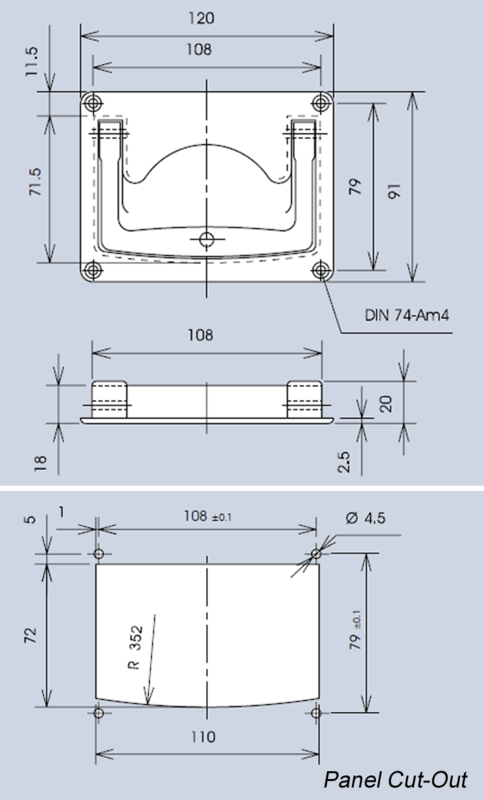 Customised options are available – please contact us to discuss your requirements. 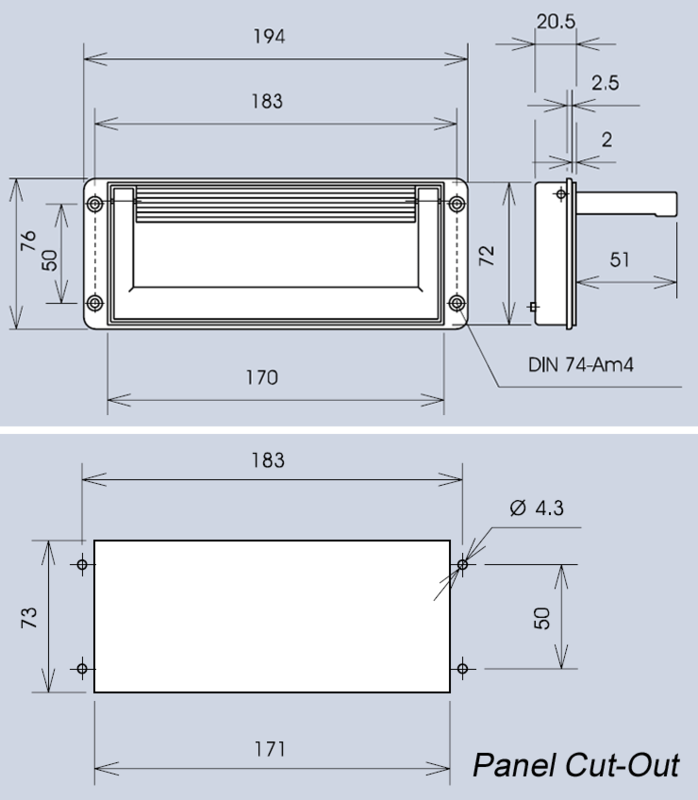 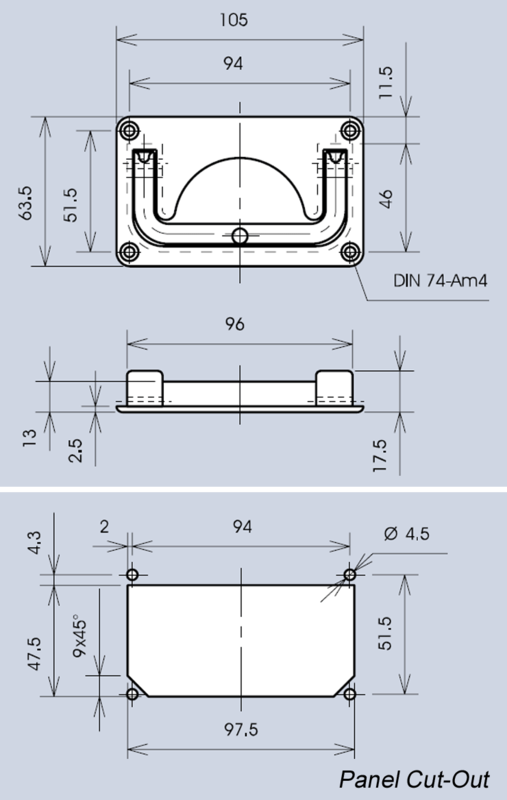 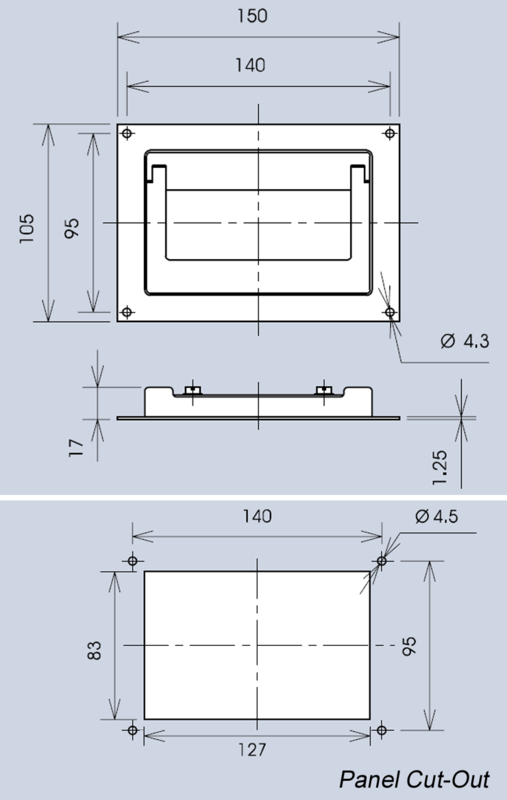 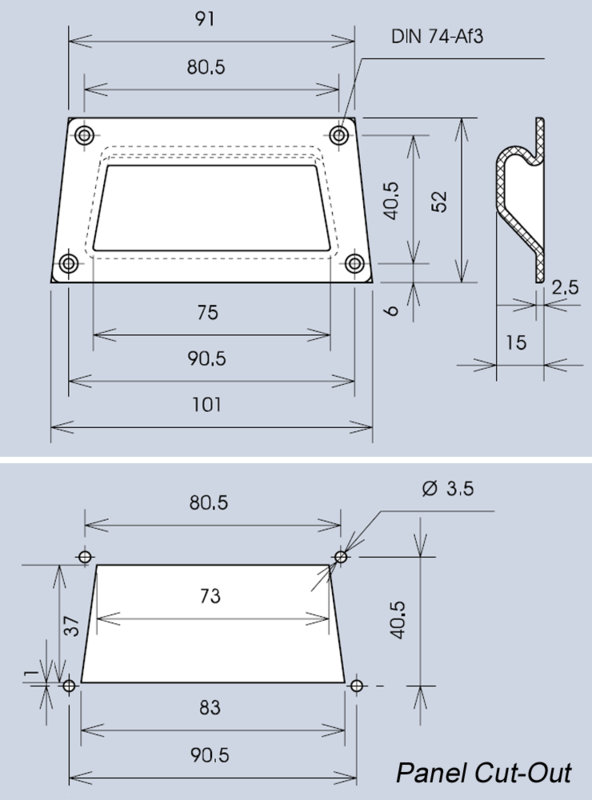 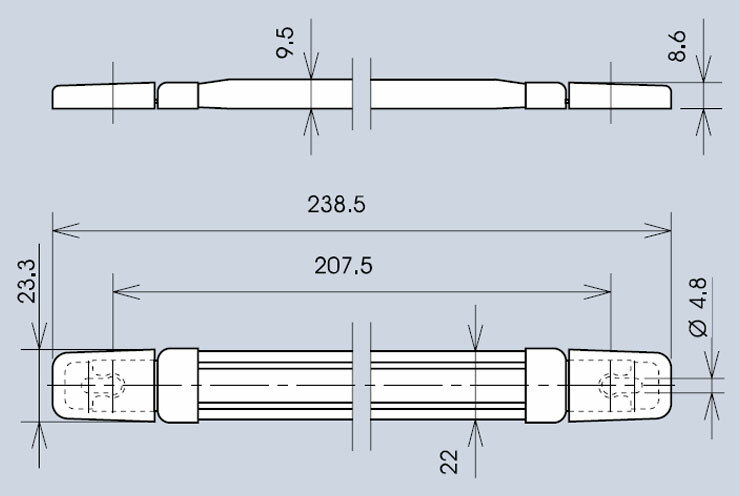 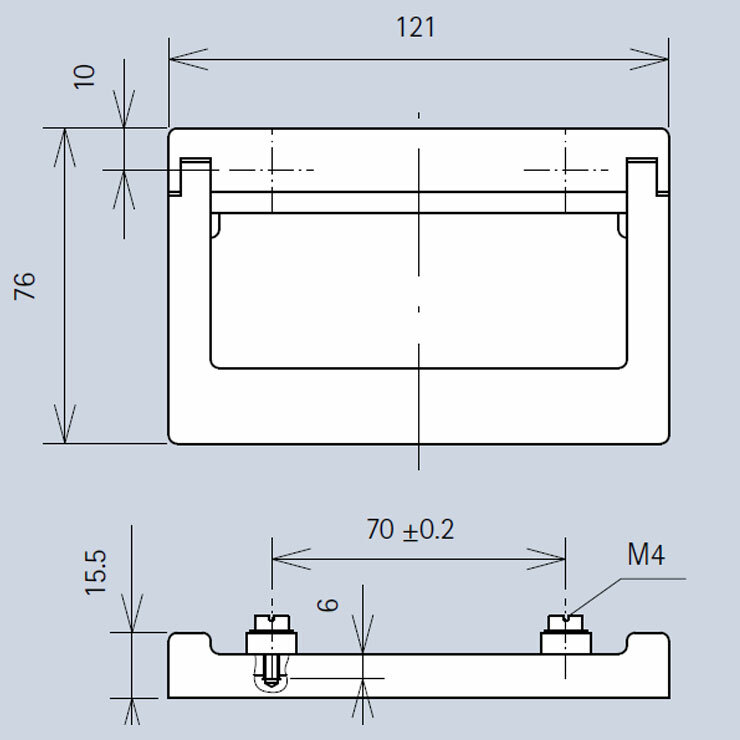 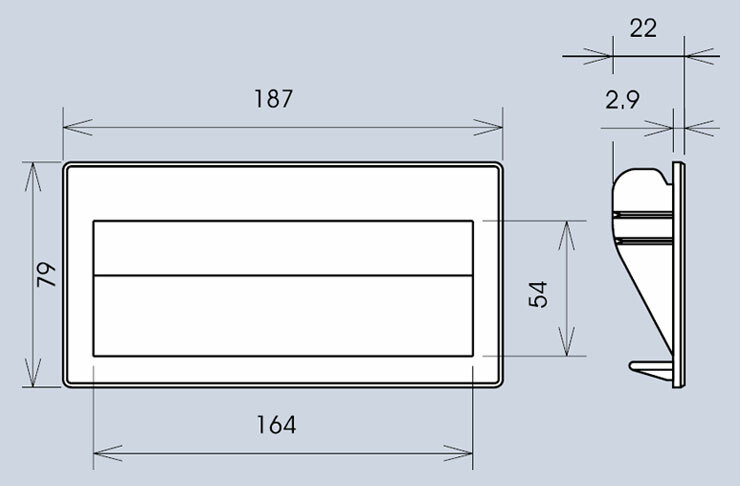 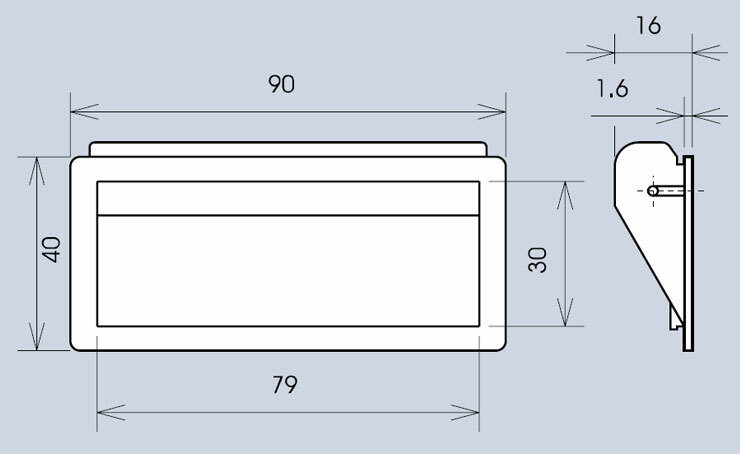 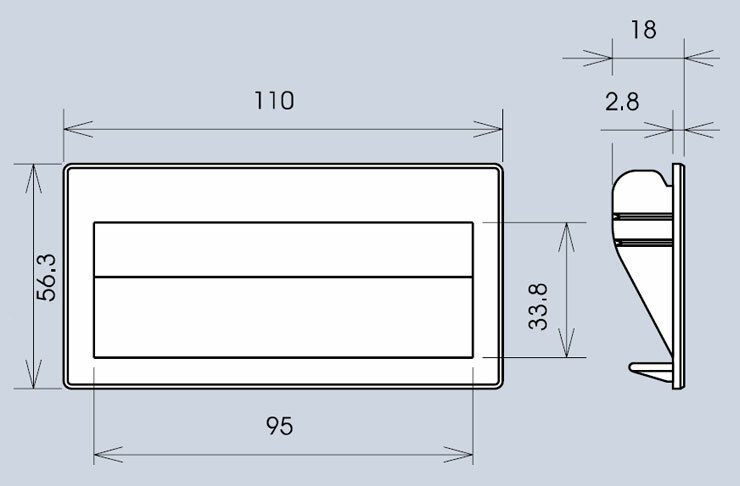 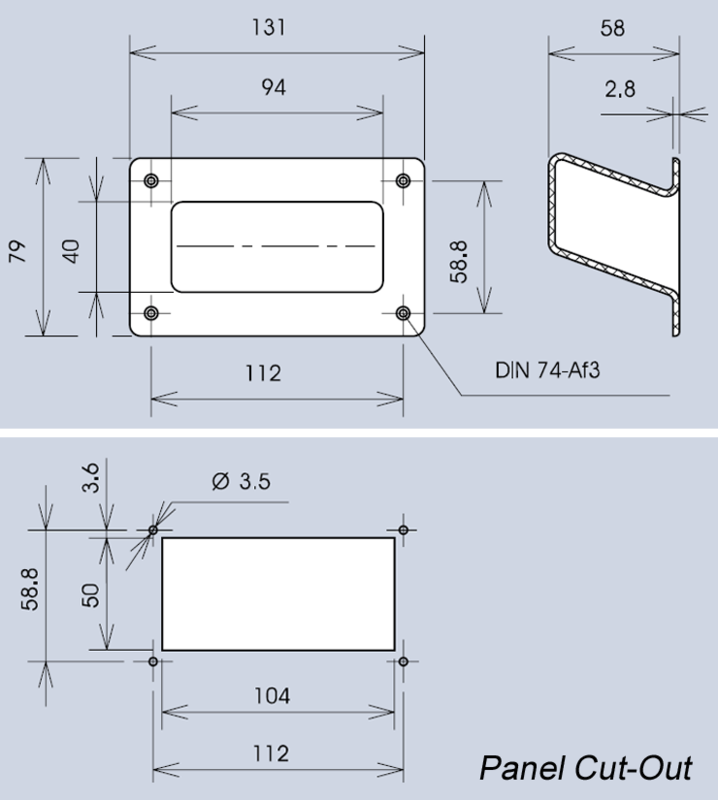 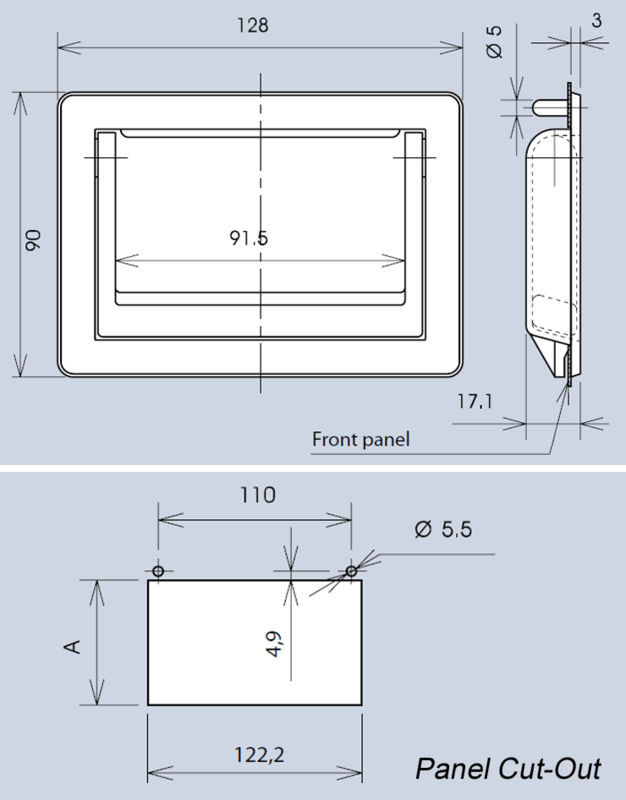 Scroll down this page for an overview of MENTOR’s Recessed, "Tray", Folding and Strap Handle ranges or use the links to jump to the product detail (3D CAD files are generally available). 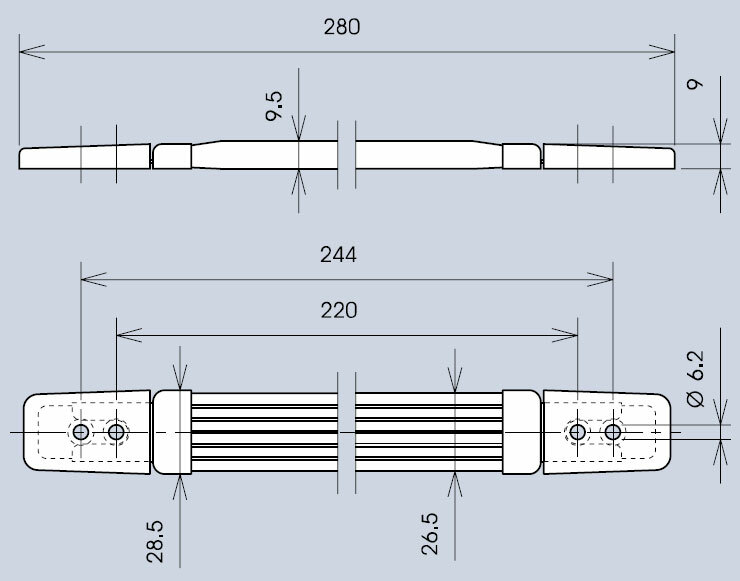 A collapsible spring-loaded handle that locks in either the "up" or "down" positions. 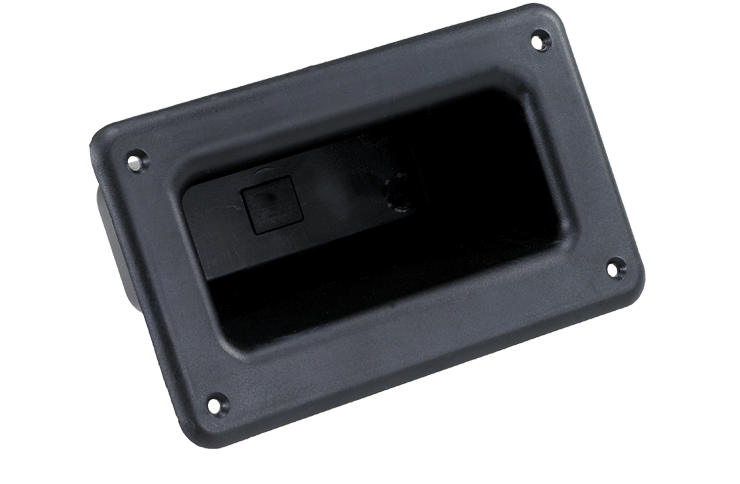 This soft black plastic strap handle is spring-loaded and is suitable for carrying cases, devices, instruments etc. 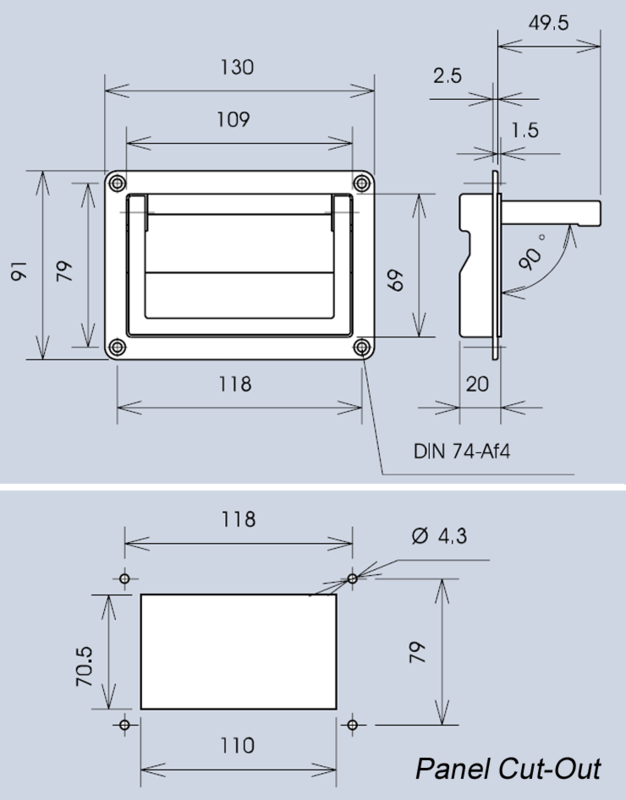 Steel nickel-plated cover caps and fastened with M4 screws.